It’s not just a tagline. It’s our mission. In industries ranging from retail to healthcare to pest control, mobile technology has catapulted from “nice-to-have” to “absolutely-must-have” for workers on the go. Whether on the road, in the field or roaming store aisles, mobile workers expect on-demand access to the real-time data and portable tools they need to do their jobs efficiently and effectively. At Brother Mobile Solutions, we get that. Our goal is simple and straightforward: Continue to develop, enhance and customize our mobile printing products to offer the best possible solutions for today’s mobile workers. 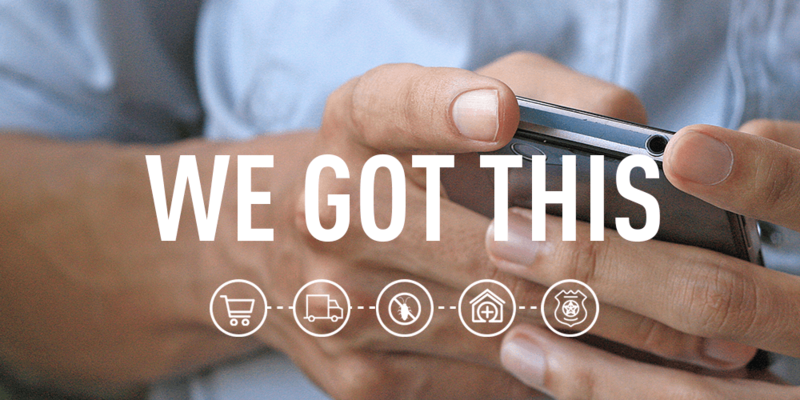 “We Got This” is our value proposition distilled to its essence, backed by our entire team – from our custom engineering group, to our developers, to technical and customer support, to sales and marketing. We look back with pride on our decades-long commitment to printing and our place in history as one of the earliest manufacturers of printing products. But most importantly, we look forward to continuing to innovate and deliver smart mobile printing solutions that stay in lockstep with evolving workforce needs. Over the past few years, Brother Mobile has significantly expanded our vertical industry outreach by ensuring our printing solutions meet – or exceed – user requirements for connectivity, interoperability and ease of use. For example, all our mobile printing product lines are now MFi certified, so they’re easy to use with iOS tablets, iPads and smartphones, and all lines offer connectivity options such as Wi-Fi, Bluetooth and USB. Retail. Mobile printers support buy-online, pick-up in store (BOPIS), cloud-based item price labeling and other value-building initiatives in warehouses and stores. Healthcare. Home care clinicians improve quality of patient care, care team communication and CMS compliance by generating printed documents right in the patient’s home. Transportation. Long-haul truckers and local route drivers work faster and serve customers more efficiently thanks to Brother mobile printers in their truck cabs or on their belts. Pest Management. Mobile printers help pest control technicians boost productivity, improve responsiveness to customer needs and comply with myriad health, safety and environmental regulations. Public Safety. Police officers find that fast, reliable mobile printing solutions save time, improve accuracy and help them better serve their communities, whether they’re issuing citations, printing evidence labels or generating reports.